Toggle Switch double-pole/double-throw (DPDT) On/On. 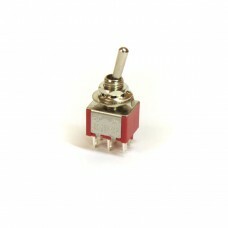 Mini Toggle Switch DPDT. Short shaft, L-lugs. Threaded version.